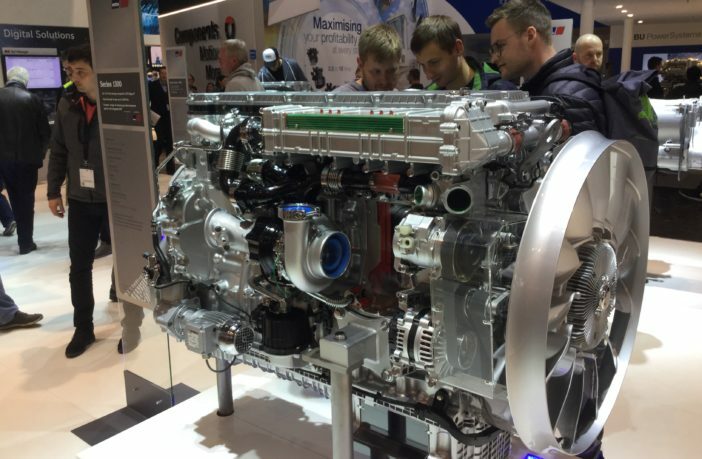 Rolls-Royce’s powerful EU Stage V-compliant engines are making their Bauma debut this week. 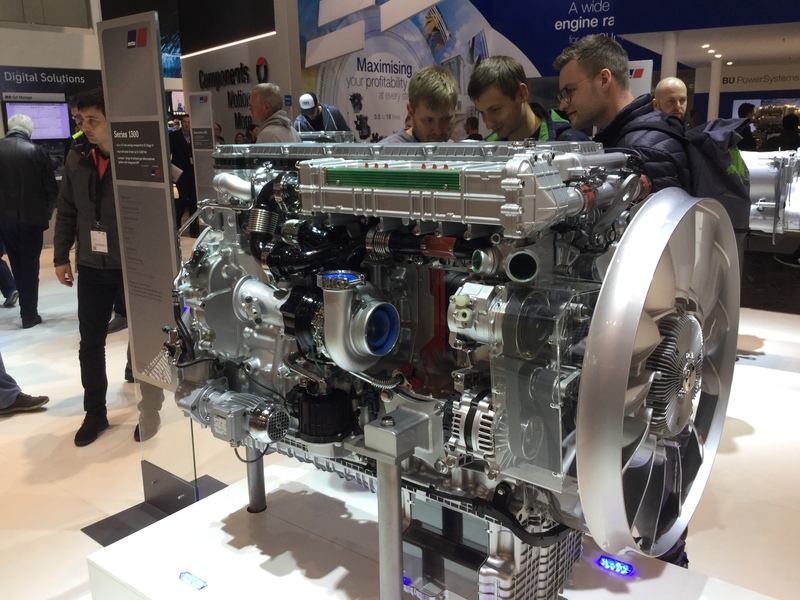 In full production since June last year, the MTU engines are already powering off-highway vehicles from Tadano, Kato, Manitowoc, BOMAG, Bell and Hyster as well as the Turkish firm Hidromek. Additionally, Bell Equipment received its first order of the engines this month to power its articulated dump trucks. 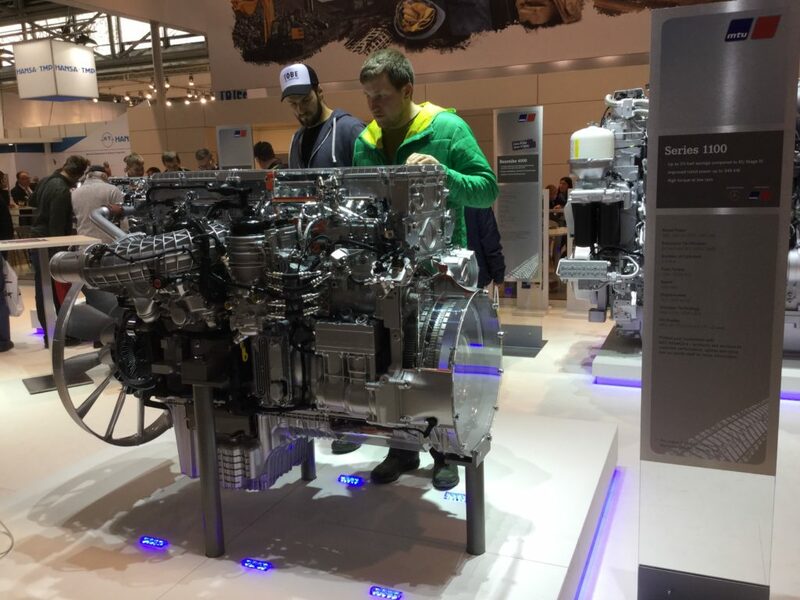 Four units from the range, 1000, 1100, 1300 and 1500 are on display at the engine manufacturer’s stand in Hall A4 at the world’s largest construction trade show, which is taking place in Munich, Germany, this week. Based on Daimler commercial vehicle engines, the diesel engines cover a power range of 115kW to 480kW. In addition to meeting the stringent emission requirements of Euro Stage V legislation, the new units have improved torque and fuel consumption levels compared to the predecessor models. 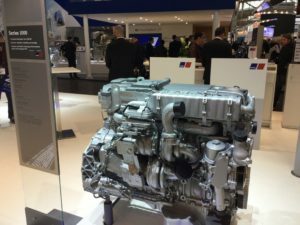 Internal engine enhancements as well as a selective catalytic reduction (SCR) system, a diesel oxidation catalyst (DOC) and an additional diesel particulate filter (DPF) all contribute to the overall engine performance. A one-box SCR-DOC-DPF solution integrates all the components into the limited installation space of the machines and meets the requirements of vehicle manufacturers and operators by being simple to install, operate and maintain. With nearly 110,000 hours of field testing, Hyster’s heavy-duty forklift trucks over eight tons as well as its container handlers and reach stackers are to be fitted with the 1000 and 1100 engines. “The added performance will enable our European customers to streamline operations and boost productivity – whether they’re handling containers during a Swedish winter or steel pipes in the Italian summer heat,” said Jan Willem van den Brand, director of Big Truck Product Strategy and Solutions at Hyster Europe. As well as being certified to EU emission Stage V, the engines are also certified to the US Environmental Protection Agency’s Tier 4 final. MTU’s Series 2000 engines (567–970kW) for construction equipment, industrial and mining applications will also be available with EU Stage V certification from the end of 2022.